64 and 32-bit worlds are kept totally separate in the Microsoft Windows Operating System. 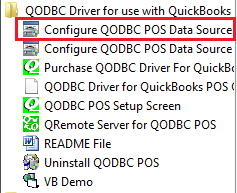 QuickBooks POS is a 32-bit application, so in order to communicate with it, a 32-bit ODBC driver is required. Since a 64-bit application cannot talk to a 32-bit driver, we have to do a bit of magic to get the worlds to connect, we call it QRemote. QRemote works as a bridge between 64-bit Applications and the 32-bit QODBC Driver by communicating data calls between the two worlds using TCP/IP protocol. 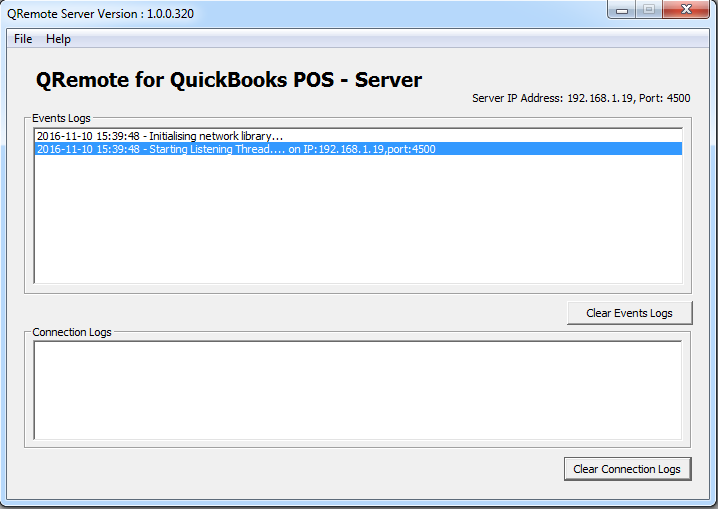 QRemote makes it possible for 64-bit Web Servers and 64-bit applications to talk to QuickBooks POS live for the first time via the QODBC Driver. 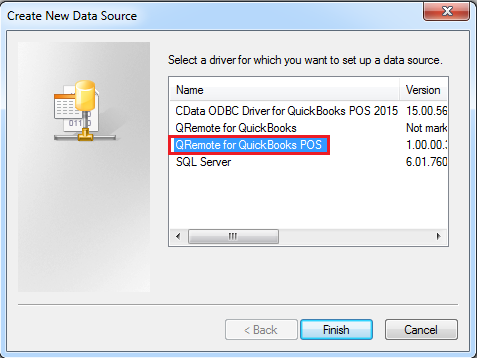 QRemote has two components QRemote Client Driver for QODBC and QRemote Server for QODBC? 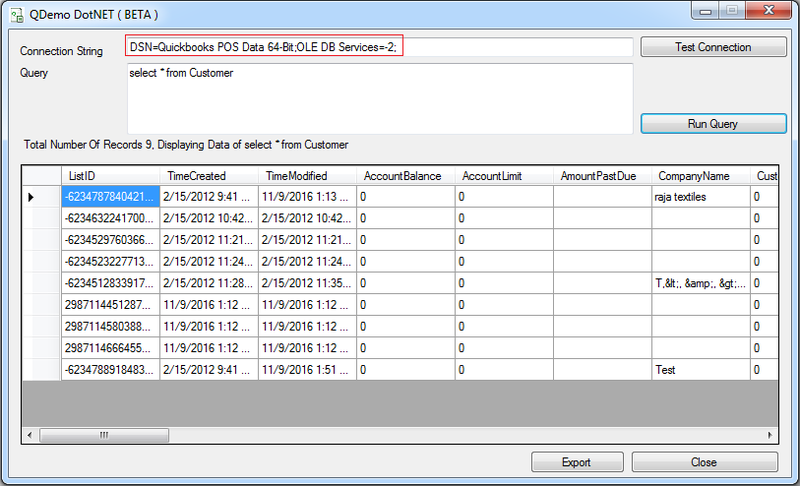 QRemote Server: Processes requested instruction from QRemote Client to QuickBooks POS using QODBC DSN Driver. 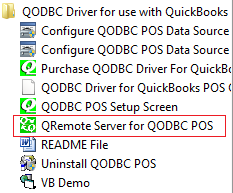 Start QRemote Server for QODBC POS from the start menu. 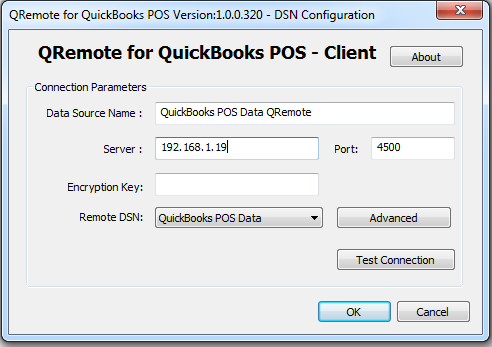 Before creating A DSN entry verify you have created a DSN entry for QODBC which can connect to QuickBooks. 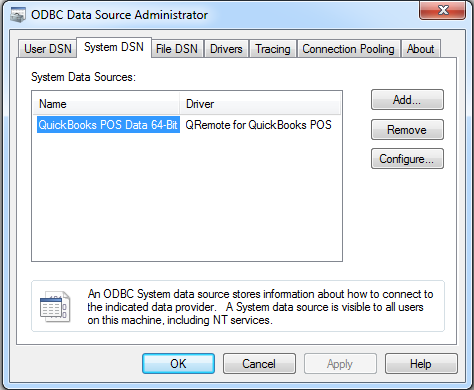 "QuickBooks POS Data 64-bit" is the default DSN created when installing QODBC. 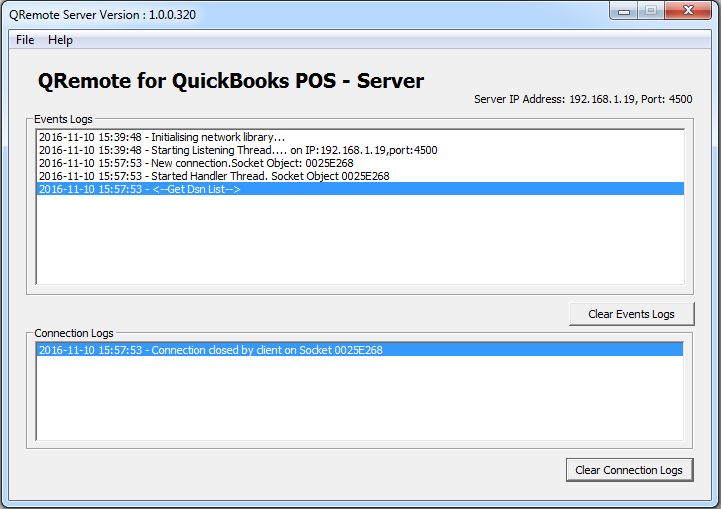 Verify the QRemote Client connects to the server and the below-listed logs are logged in the event window. 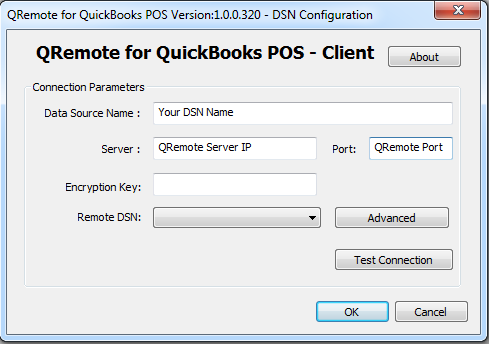 To allow 64-bit Application(s) to talk to QuickBooks POS via QODBC POS, Start the QRemote Server and configure the QRemote Client DSN entry.